The MORNING BIRD PRODUCT INTERACTION INFORMATION page gives specific information and recommendations as to the appropriateness of using various products together or at the same time. 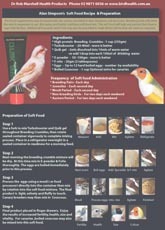 Several Morning Bird products contain a full spectrum of vitamins. It is not best to use these products together or at the same time in order to prevent an over accumulation of fat-soluble vitamins. 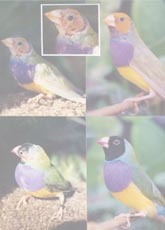 HEARTY BIRD, FEATHER FAST, BREEDER�S BLEND and THRIVE each contain a full spectrum of vitamins and therefore should not be used in any combination with one another. TETRATEX contains tetracycline hydrochloride, which degrades in the presence of calcium or iron. 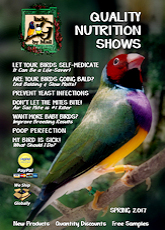 Because HEARTY BIRD, FEATHER FAST, BREEDER�S BLEND, THRIVE, CALCIUM PLUS and BEE POLLEN, all contain amounts of calcium or iron, it is best not to use these products while using TETRATEX. 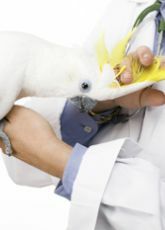 If you are not certain how to use or administer any of the MORNING BIRD products or unsure of your bird�s ailment, it is always wise to consult with a reputable veterinarian.